Living with your dog in an RV is one of the best experiences you can ever get. Pets are exciting, funny and educational animals to live with. From the way they feed, sleep and interact, you can always learn one or more things daily. A recreational vehicle is another great property that will help you live an economical lifestyle even in the midst of either plenty or nothing. Combining pets and an RV along with your lifestyle will be a great experience. This content will help you learn some strategic things to know before living with your dog in an RV. If you plan to move or travel along with your rig, then it will be a wonderful experience to keep the pet in the truck. Depending on the environment, you can as well put your dog in the kennel. When the climate is too cold and hot, ensure that your dog remains with you. Get a blanket and nice foam to help your dog sleep or rest well. To help your pet move from the front of the truck to the rear, you can install a simple netting structure. This means that the driver of the kennel will not be distracted from the activity of the pet. If the need be, you can install a rear window to boost ventilation for your dog. Food and water remains the basic for living beings. When living in an RV with your dog, it is a good idea to make the pet eat food available in almost all locations. If you feed your dog with several brands of food, then you should be ready to cure digestive complications. Digestive problems can further develop into something severe that you may not be prepared for. Buying enough food and water for your dog will make life easy for you and the pet. The dog’s food should be stored in plastic bins. Ensure that your dog is fed at the same period every time of the day. This will help you know when bowel complications occur. 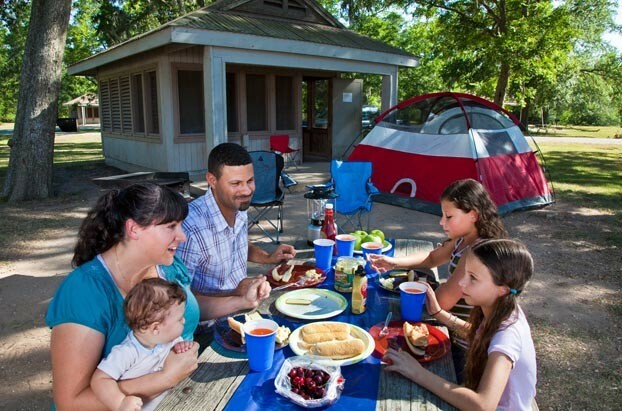 Campground or RVing rules are highly important. Some parks may not give you an approval to bring dogs in certain locations. On this note, having a well-behaved and quiet dog can be a great favor. When you leave, your dog should not constantly bark. Asking your RV neighbors to confirm if your dog barks after you go away is a great method of knowing. This will help you build a formidable relationship with your dog and neighbors. Ensure to use a scoop or poop bags available. Dogs should not be allowed to urinate in neighbor’s doorstep. Before leaving, your dog should be properly tied and distant from traffic environments. If you want to know what happens in your absence, then try a video camera. The additional cleaning task remains the most difficult aspect of living in an RV along with your dog. The interior of your RV needs thorough cleaning to prevent disease and other environmental attacks. Remember that the more dogs you have in the RV will determine the amount of cleaning to be done. At this juncture, you will have to train your dog to abide by the kennel rules. When your dogs lie more in the kennel, they will have less time littering the floor. If it is a muddy and rainy day, then you will have to leave the mess of your dog in the kennel. If you are allergic to dander when clean dog’s hair, this can also be a huge problem. Using towel to wipe dirt every time your dog messes the area is another important idea. Using a portable VAC will help you to constantly clean your RV well. When cleaning BBQ or metal, ensure to make use of a wire brush. Dogs should be given several baths to keep them clean and neat. Inside of your RV, simply set boundaries on where the pet can reach. Sham Wow towels are great for absorbing particles in your RV. Dog owners can make use of steam cleaner for doing RV cleaning. When dogs get tired, they always look good in nature. When you live in an RV, you will discover that this saying remains the unadulterated truth. It is the nature for dogs to move and explore new places. RV owners should create a time when they can allow their dog to run around. Having two dogs walk during the process will help a lot. It is the attitude of dogs to chew. This means that you will have to provide your dog chewable materials such as a healthy chew treat. After chewing, your dog may become too tired to move around. If you are staying with your dog in an RV, allowing in the rig is always a huge concern. In most cases, the position of the dog will be around somewhere behind the rig. Since your dog cannot be left in the truck while you shop, the rig remains the best place to put it. Even if you want to carry out other tasks away from the RV, the dog may have to stay in the rig as well. Some locations don’t accept the approval of dogs. Dogs can eat carpet and may eventually destroy the inner setting of your RV. The dog is more secure when it stays inside the kennel. Ensure that the kennel is in a good shape before releasing your dog there. If the climatic condition is cold, then ensure to put on your AC hot section. Before moving away from your RV, ensure that the dog is allowed to roam about. This will make your dog get tired and relax while you leave the RV for other tasks. The radio or TV can be left on playing while other items are switched off. When a dog is always on a routine, you will find it the happiest. Ensure to give your dog their treats, exercise and meals at the same period every day. It will make your dog calmer and provide you enough time to relax as well. Living with a dog in your vehicle will always be exciting and fun when you follow certain important rules. It makes both the RV owner and the dog happier. Apart from experiencing total comfort, it will also help to boost your lifestyle.